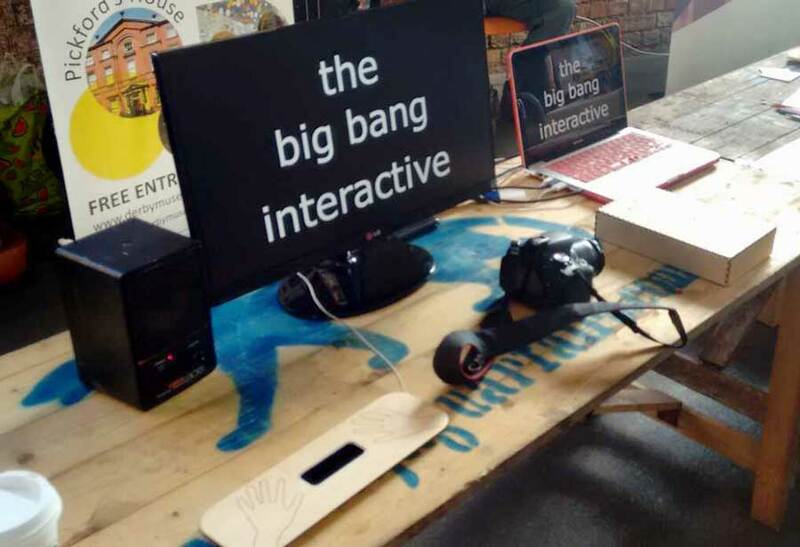 the big bang interactive is an interactive i made for derby museums for their stand at the big bang exhibition. 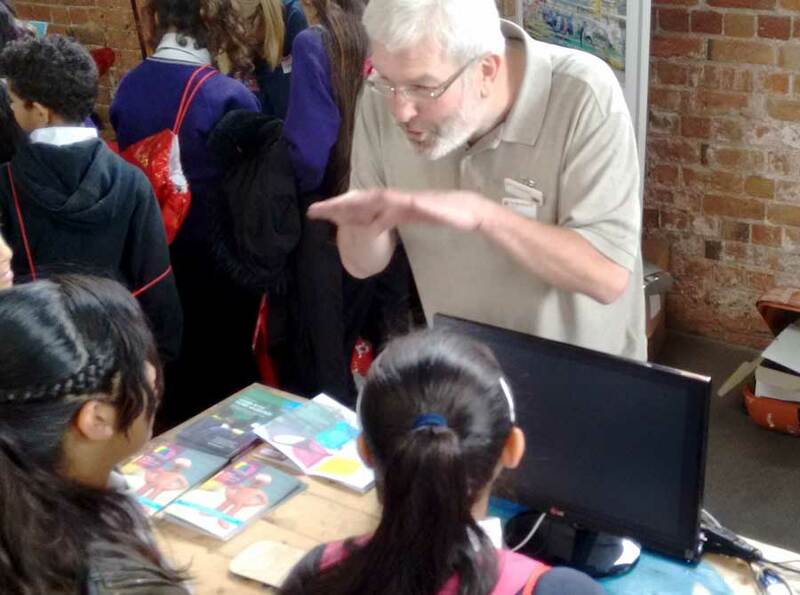 the exhibition is for school children at it promotes science, technology, engineering and maths. 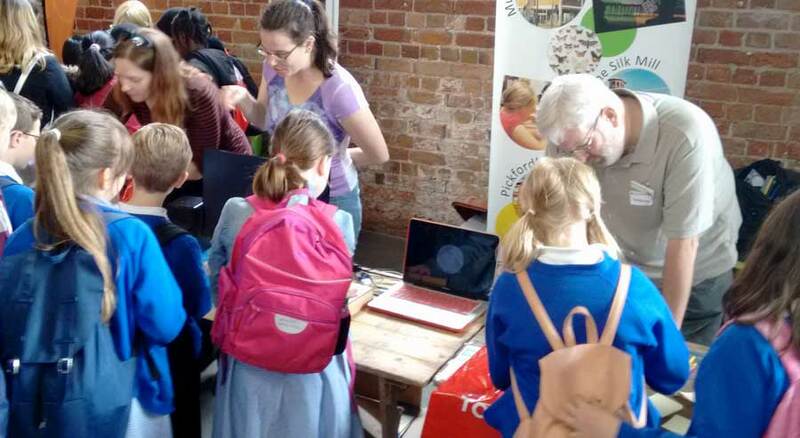 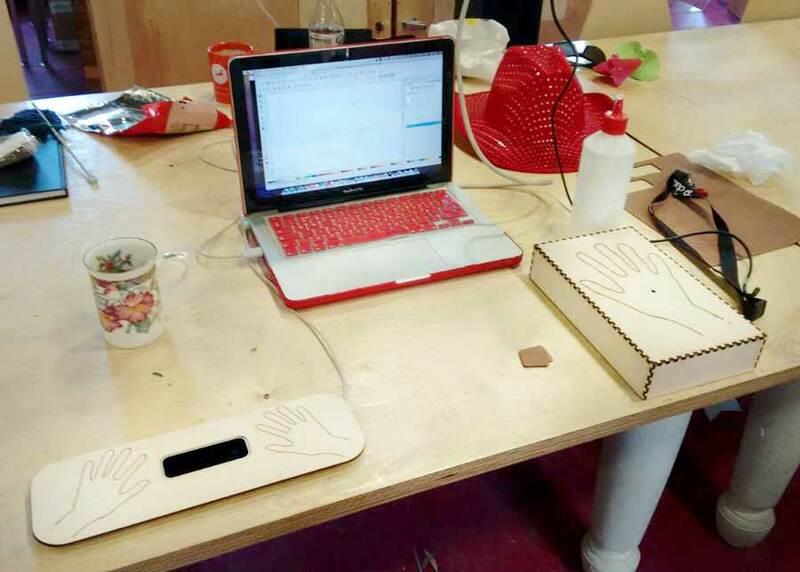 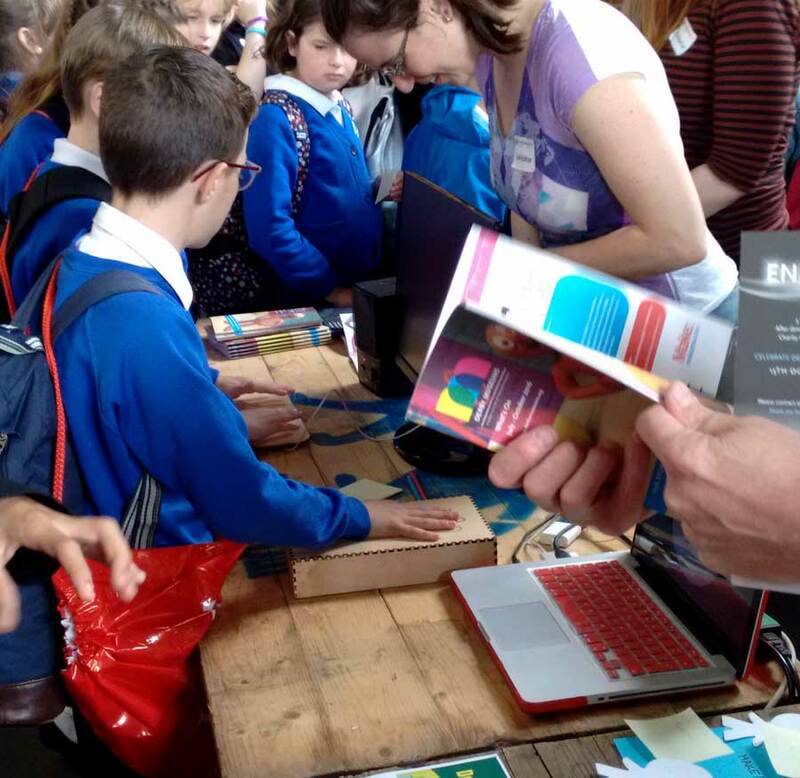 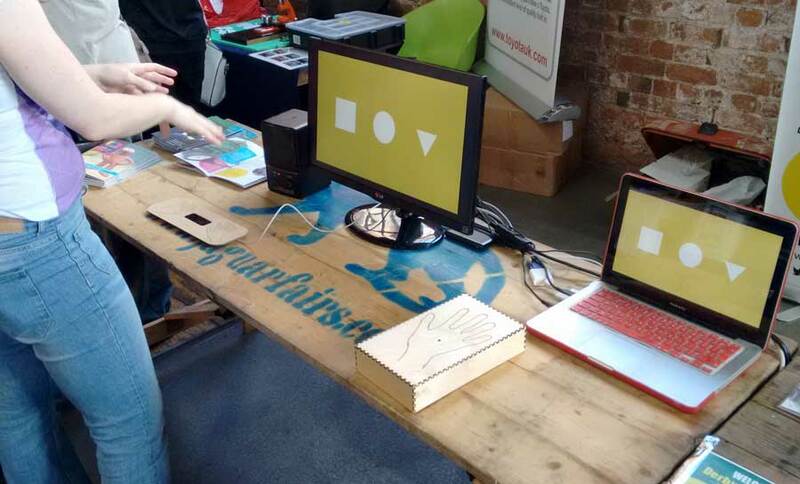 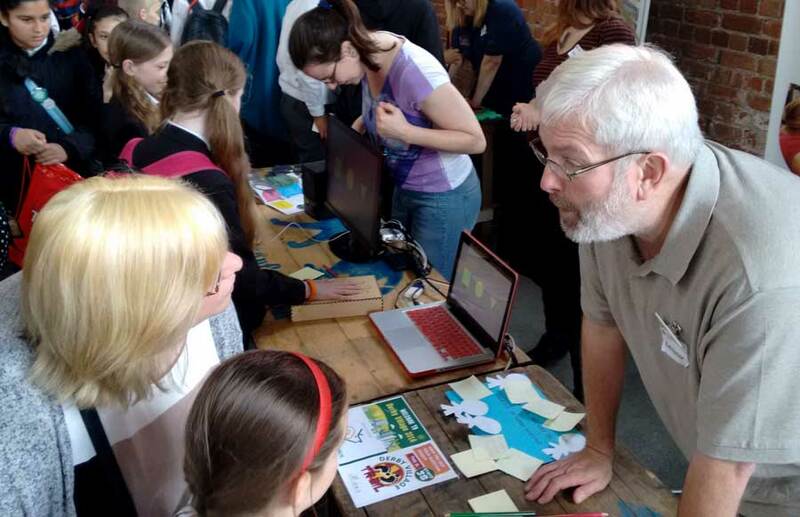 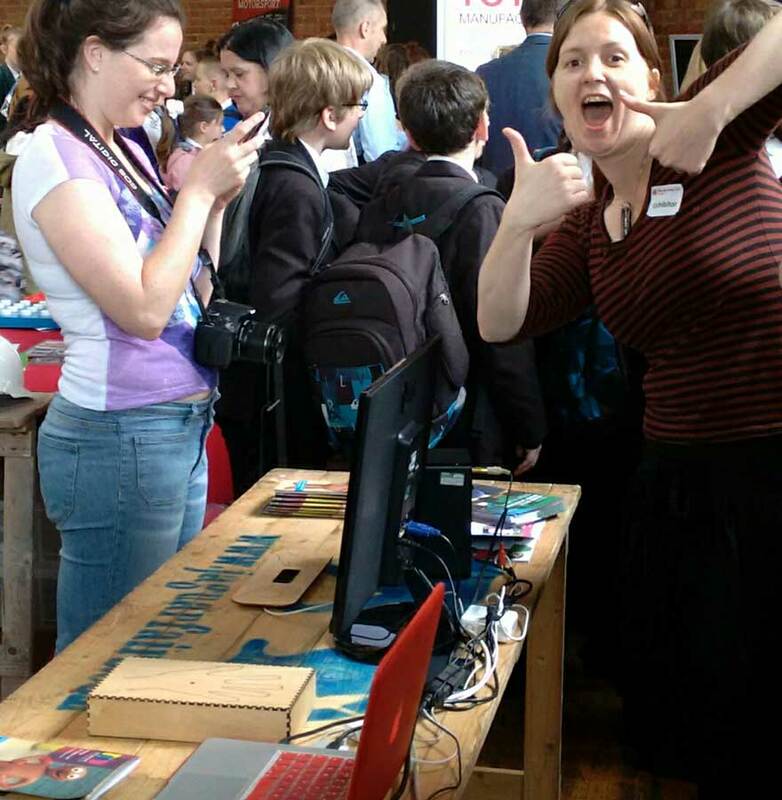 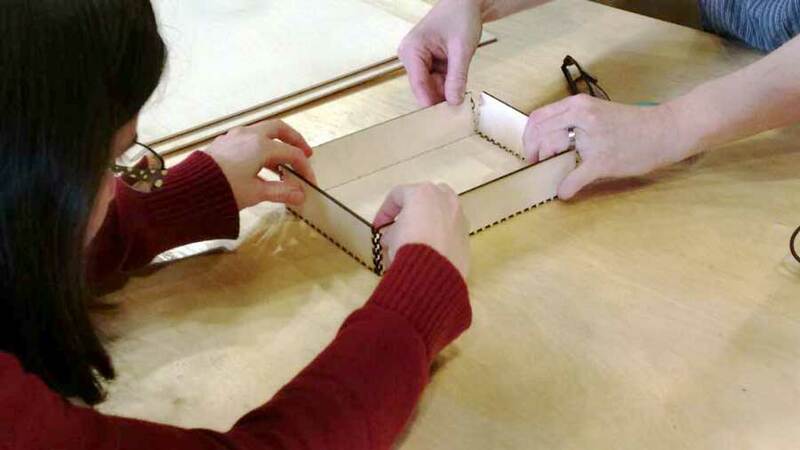 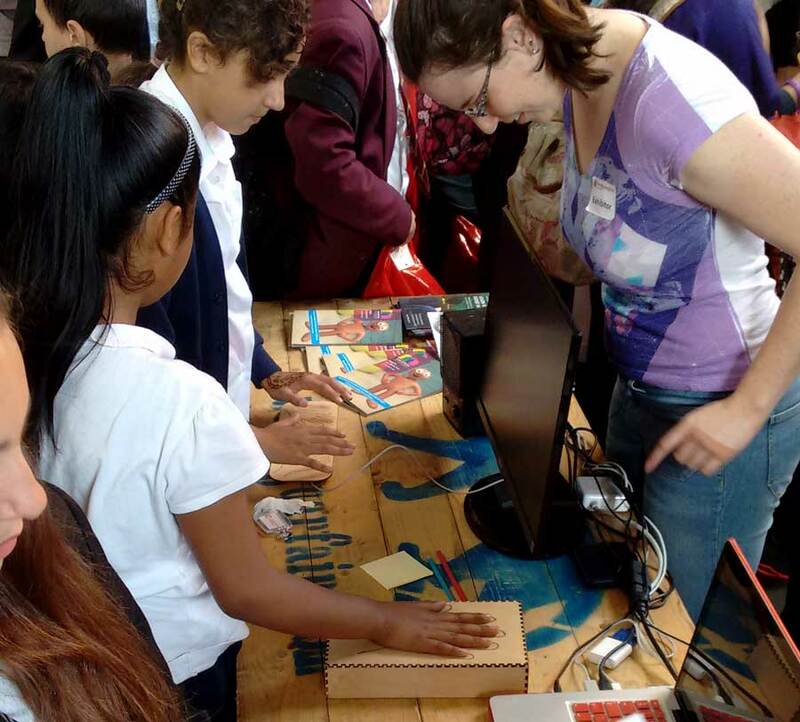 the interactive was made during my maker residency at the derby silk mill museum. 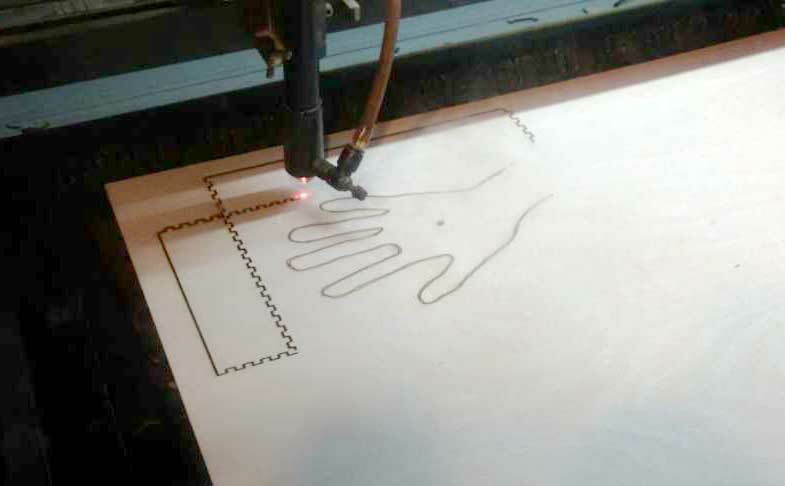 the participation of the single hand turned on the screen to reveal three shapes. 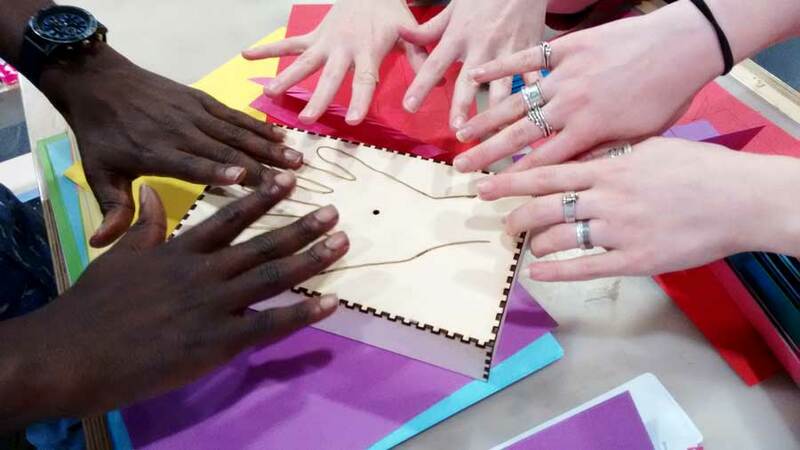 the pair of hands through their movement then manipulate the shapes. 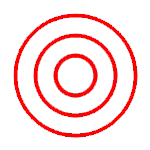 the relationship between movement and moves is slightly juggled as to keep the participants guessing.